Tomorrow, the weekly DBT (Dialectical Behavior Therapy) group that I attend and that has been helping me signficantly in my walk with Borderline Personality disorder delves into the skills of Interpersonal Effectiveness. I am really excited about this, because I think that my lack of skills in this area have been a stumbling block in my ability to maintain important relationships, including friendships and a long-term job. The excitement comes from a feeling of readiness to grow in this area and, well, to keep a job. I look forward to sharing more with you as I learn this particular set of skills. The doctor who leads the group mentioned that there are no accompanying video lessons for this section of the manual. I have mixed feelings. 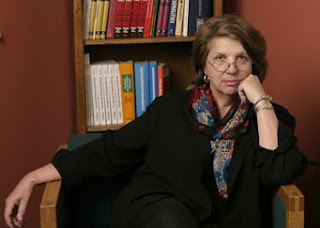 The videos we watch in class are by Dr. Marsha Linehan, who, up until last week, was known to me and thousand of others enrolled in DBT classes or therapy, as an incredible doctor who took the time to create a set of skills to help people with Borderline Personality Disorder (and other disorders or mental states of being that interfere with emotion regulation). She named these skills DBT: Dialectical Behavior Therapy. ﻿﻿ As of last week, we still knew her as a genius doctor, but we also came to know her as “one of us.” In a New York Times article that came out on June 23, 2011, journalist Benedict Carey reported that Dr. Linehan revealed to a group of her friends and colleages at a presentation at Institute of Living in Hartford, Connecticut, that she was treated as a young adult for severe mental illness and lived in a locked psych ward, primarily in isolation, for about two years. The signficance of her decision to reveal this personal information cannot be undervalued. Dr. Linehan’s disclosure stands to inspire and bring hope to so many of us living with conditions like Borderlie Personality Disorder (and our loved ones), because her disclosure brings us HOPE. Hope is something that we often are lacking or desperately seeking, so to receive it in such a large dose as we did last week: seeing a successful Ph.D. doctor come as far as she has, be as successful as she has, be as stable as she has — to have TRULY created a “life worth living” (one of the phrases she repeated encourages us with in her DBT skills), brings incredible hope. Thank you Dr. Marsha Linehan. I’ll miss your videos during the Interpersonal Effectiveness section of my DBT group, but I’ll be making the rounds again to the other sections right after. All the while, I’ll be thinking about how, if you accomplished what you did, there is so much more hope for the rest of us than we had previously imagined. I'm not real surprised. I mean I don't know anything about her but it would make sense that someone who understands the disease so well would actually have/had it. I will look at her work with greater confidence now. Thank you for your comment, Linda. I suspected so as well. Have a nice evening. While in her research group, she intimated that she understood where we were, because she had been there herself. She didn't tell us a lot about herself, but clues were dropped that let those of us who were discerning understand that she was truly one of us. She had been there, done that, and designed the t-shirt. I identified with her. I wasn't sure about the Zen and the OM, but I knew that she had overcome what the rest of us were struggling with. I worked hard to learn mindfulness and worked with my own Doctor to achieve some degree of mastery over my self destructive behaviors. She helped me survive. My Doctor also benefited from her conferences. I owe these people my life. Hi Linda. That's exactly what happened to me — I looked at her work with greater confidence. Thank you for sharing! Thank you so much for sharing your firsthand experience!